The former Yes keyboardist, who played piano on Bowie’s 1971 album Hunky Dory, said the way he worked in the recording studio was inspired by the late artist, who made sure he never knew beforehand what the finished product would sound like. Instead, the late Heroes star would leave room for his musicians to improvise in case “something magic happened”. The musician told the Press Association: “I still find (his death) very hard to come to believe actually. I really do. “He was an amazing influence on me. How he worked in the studio was better than anybody I have ever worked with, including The Strawbs and Yes. “He never went in with things so defined that there was no room for manoeuvre. He always allowed for a little bit of room in case something magical happened. Bowie, who died in January 2016 two days after his 69th birthday, released 27 studio albums in his lifetime. Wakeman has just released Piano Odyssey which sees him rearrange a selection of his older tracks as well as classics such as Bohemian Rhapsody and While My Guitar Gently Weeps using piano, strings and a choir. He added that Bowie’s knack for picking session musicians who shared his vision had also influenced him. He said: “He had a great art for picking musicians, whatever the project was, he would pick musicians he thought would understand what he wanted and be able to add to it. “He never physically said I want you to play this like that. He always said he picked musicians that he knew would get where he was coming from. 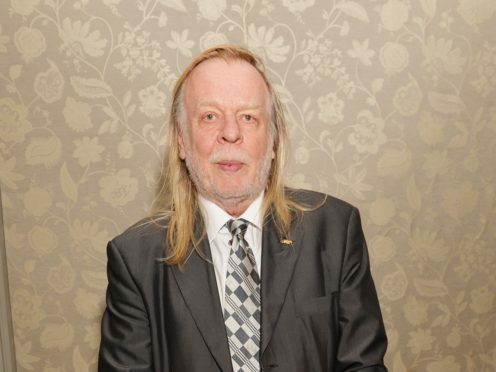 Rick Wakeman’s new album Piano Odyssey is out now.